Getting married soon?Looking for a Wedding Dress?Let's help you find it. No matter how old you are, every bride wants to look like a princess on her wedding day. Challenge your inner Disney princess and get inspired by your favorite Disney princesses on your wedding day. Who is your favorite Disney princess? Ariel? Cinderella? Or even Pocahontas? We have a dress for each of your favorite Disney princesses. Whether you want a fancy ball gown, a mermaid cut, or any other design, these dresses will take your breath away! Complete your Disney princess bridal look with the perfect hair style. 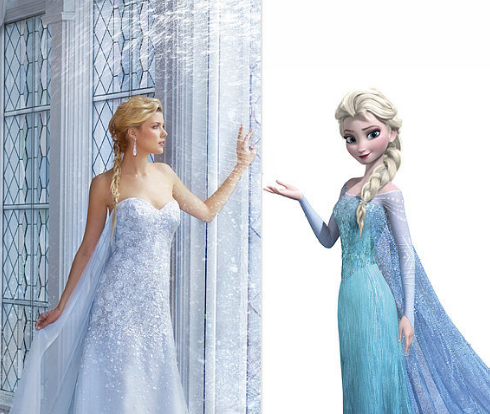 Read: "Disney Princess Hair Inspiration for Your Wedding". Take a look at the Alfred Angelo Disney Fairytale Bridal Collection! If you liked any of these wedding gown ideas, then why not go for a full Disney-inspired wedding theme fit for a princess? Check out these amazing ideas here "A Disney Inspired Wedding".